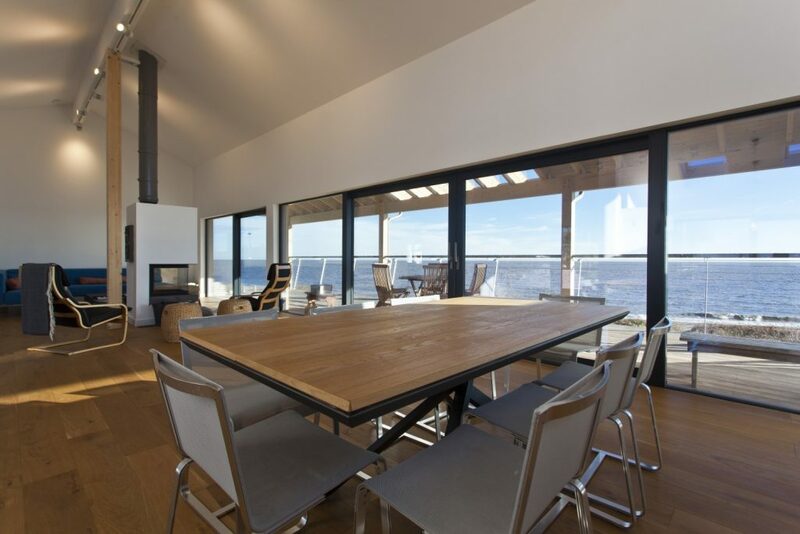 Tested on the Swedish archipelago – with wall to wall glass sliding doors, the Svenskhomes building system has the perfect high thermal performance. 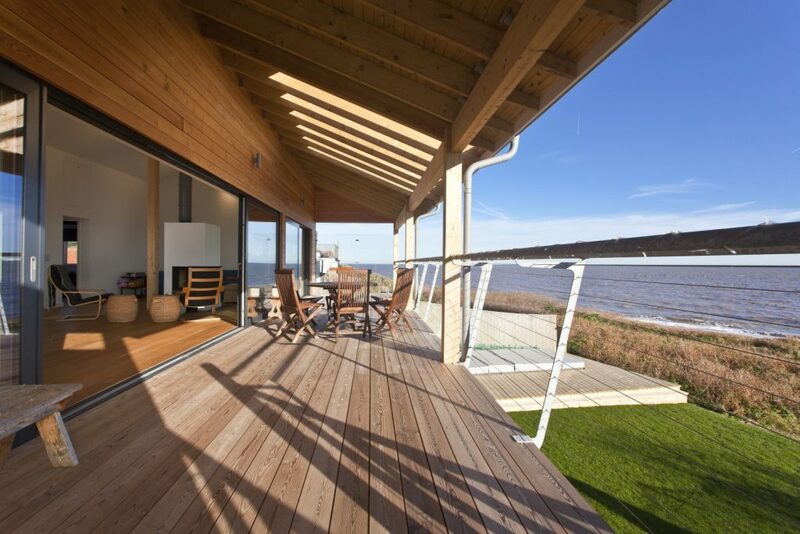 Especially when exposed to extremes of the North sea’s weather both fair and foul! 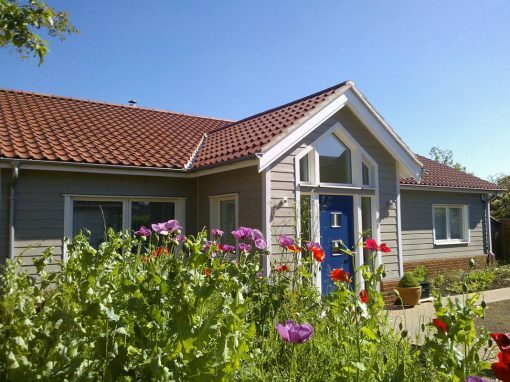 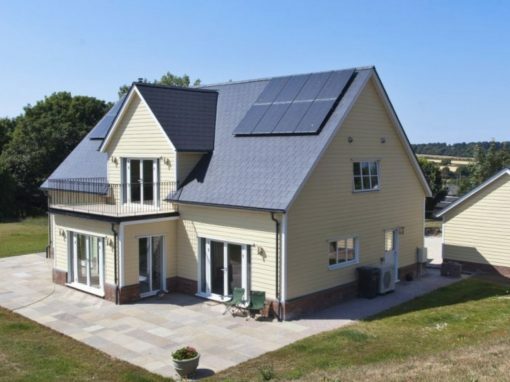 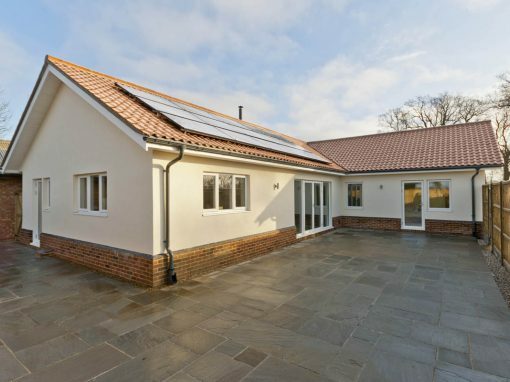 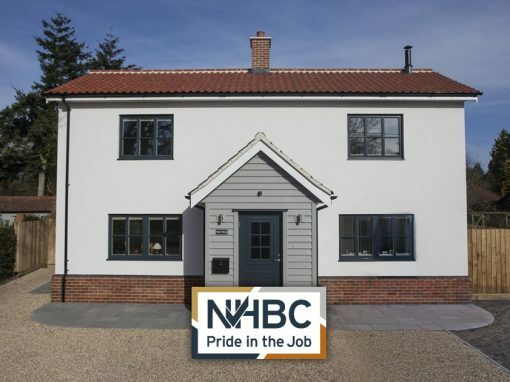 Svenskhomes were commissioned to supply our highly energy efficient Svenskhomes building system for a prestigious build project on the Suffolk coast. 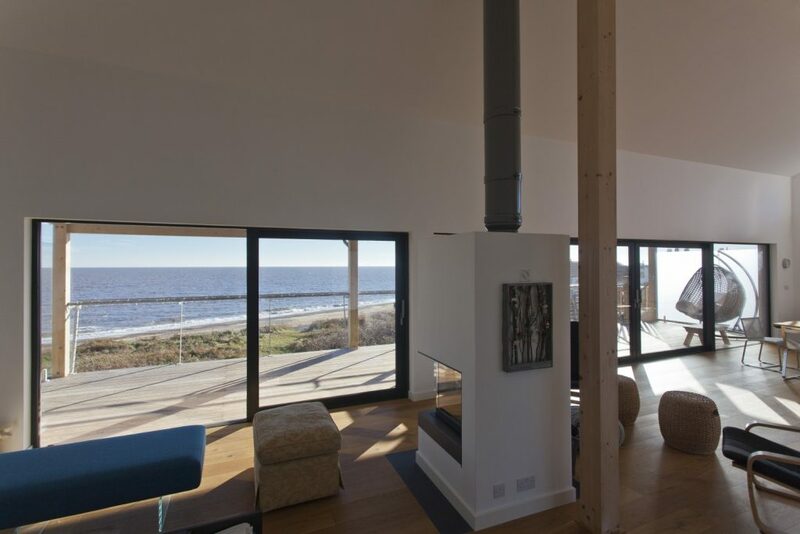 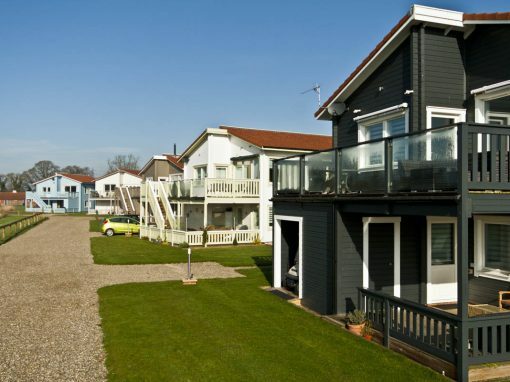 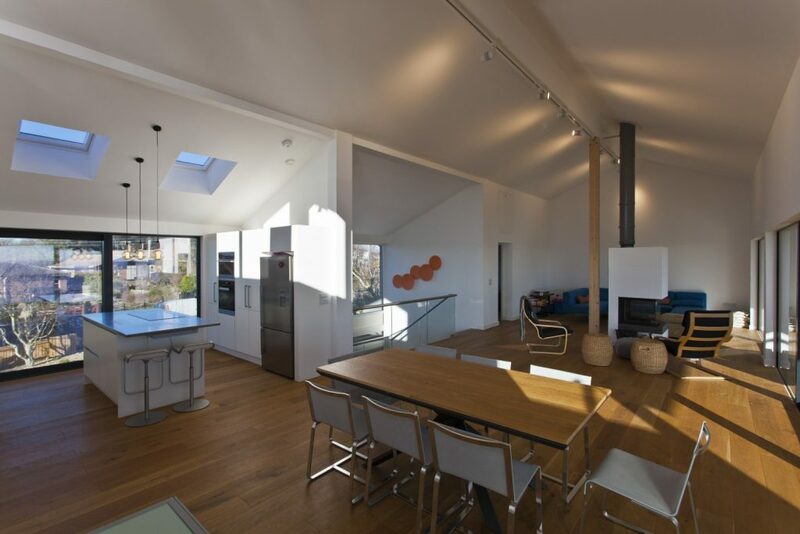 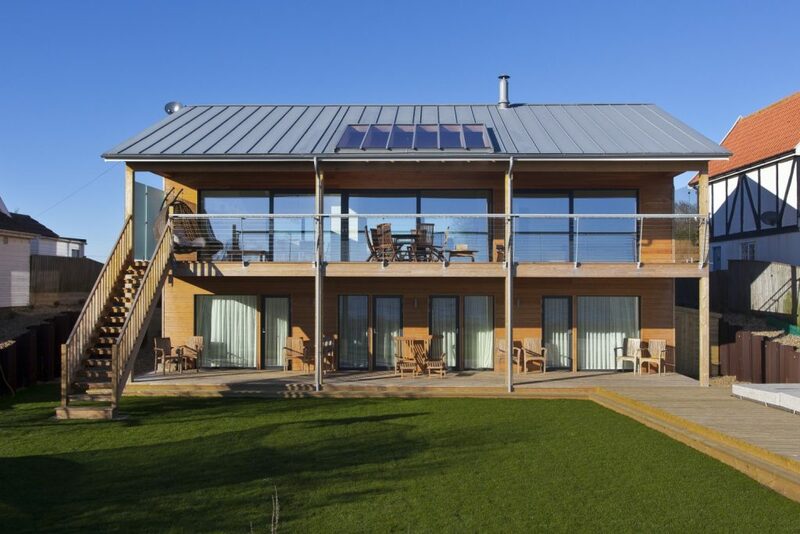 Situated on the beach at Thorpeness the contemporary design used large arrangements of windows and sliding doors to take full potential of the sea views. 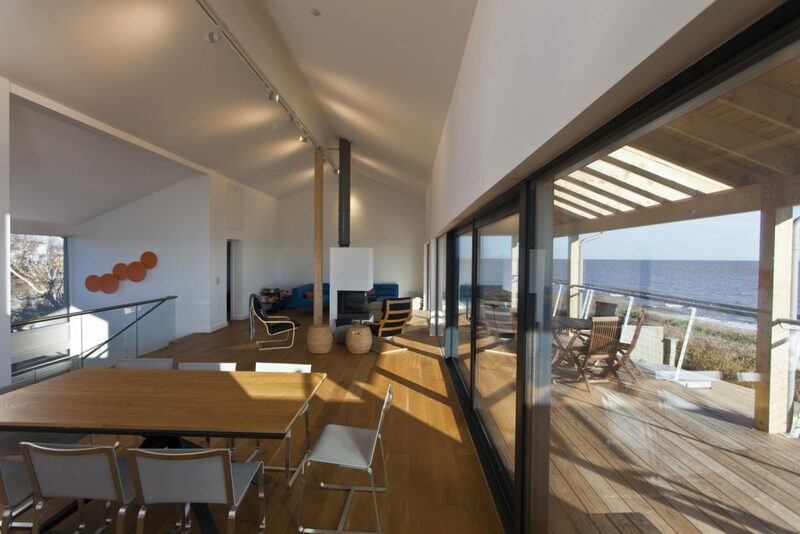 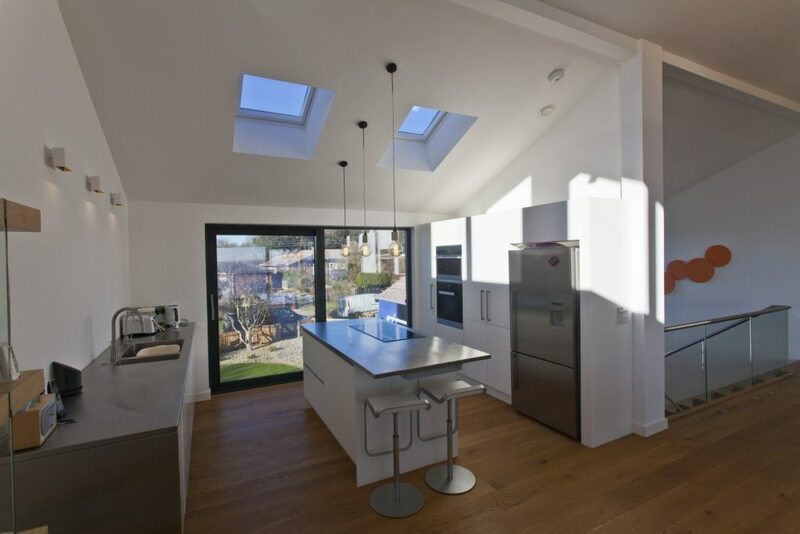 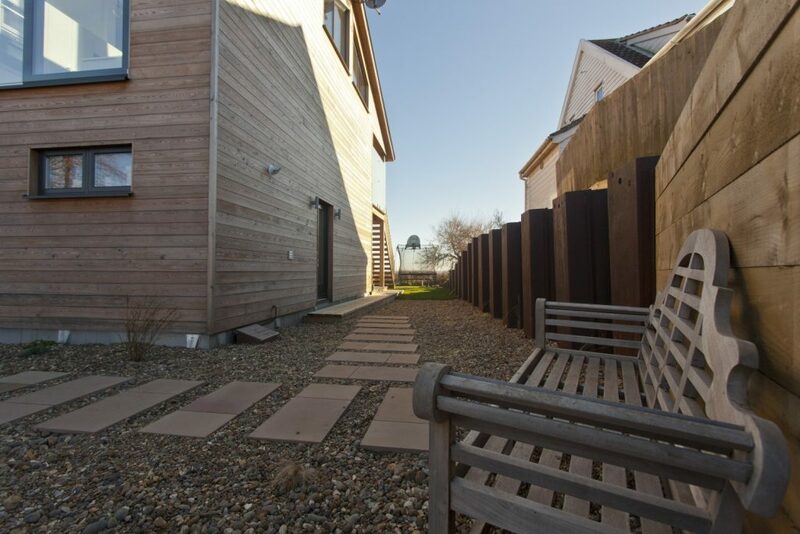 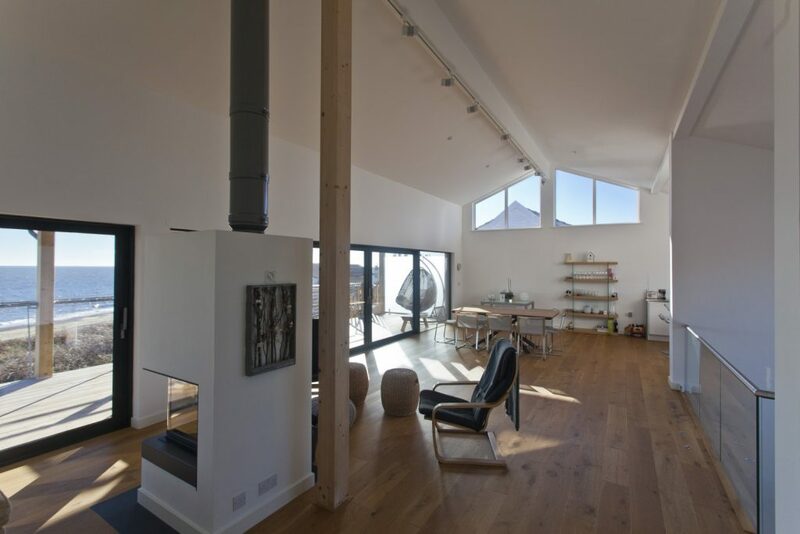 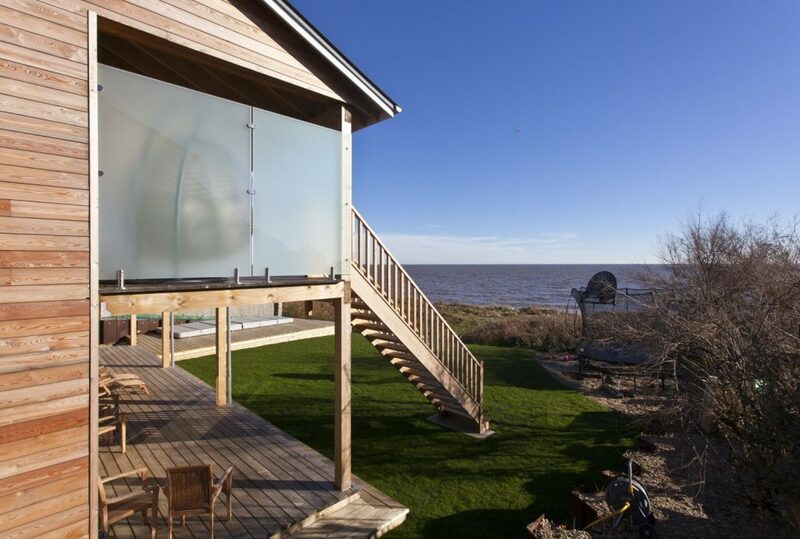 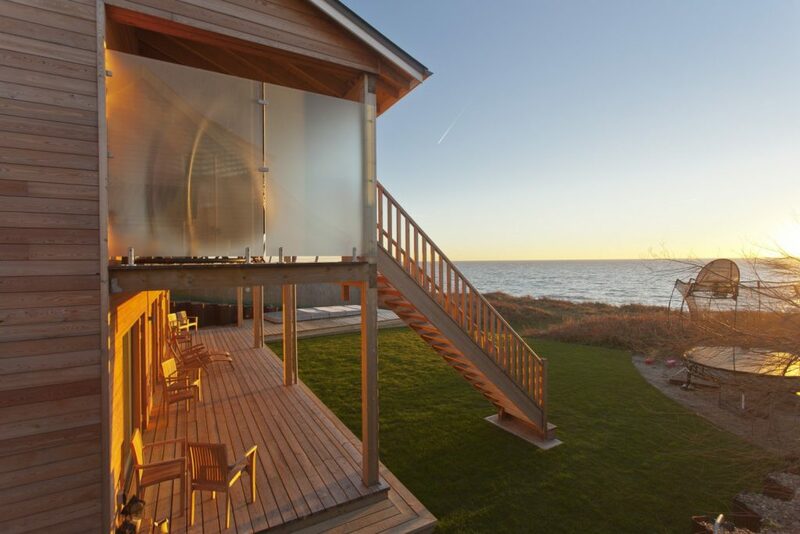 Whilst taking the full advantage of the wonderful vista, thermal performance was a must as the location is fully exposed to the North Sea weather both fair and foul. 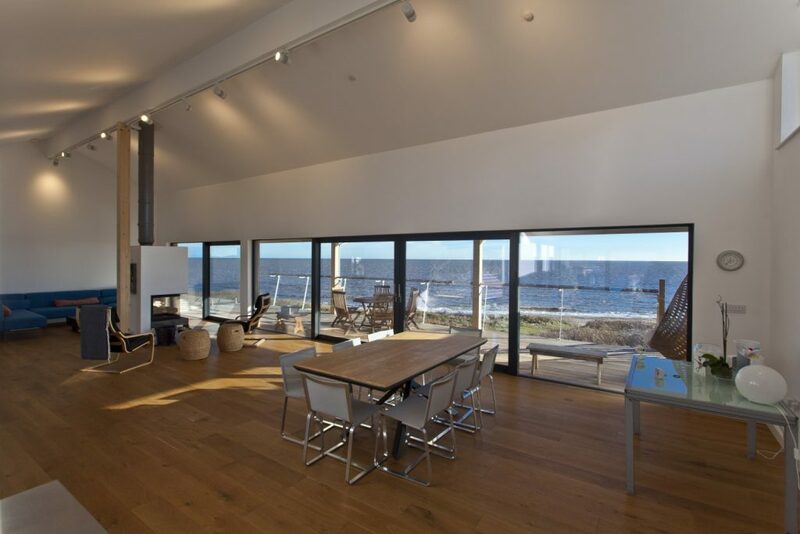 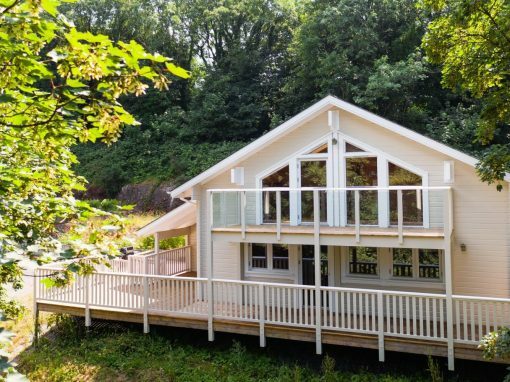 The Svenskhomes building system was the ideal solution as the build system has been rigorously tested in exposed locations such the highlands of Scotland and the Swedish archipelago with a performance track record in the harsh Scandinavian winter and exposed seaside locations. 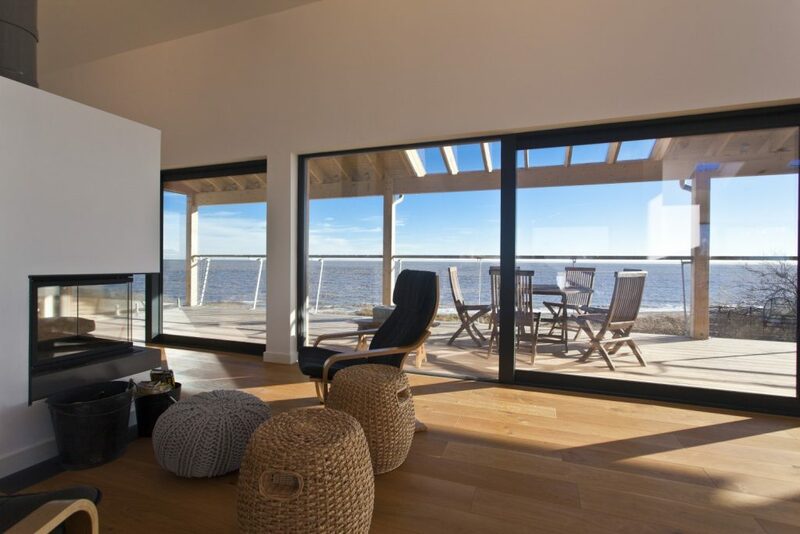 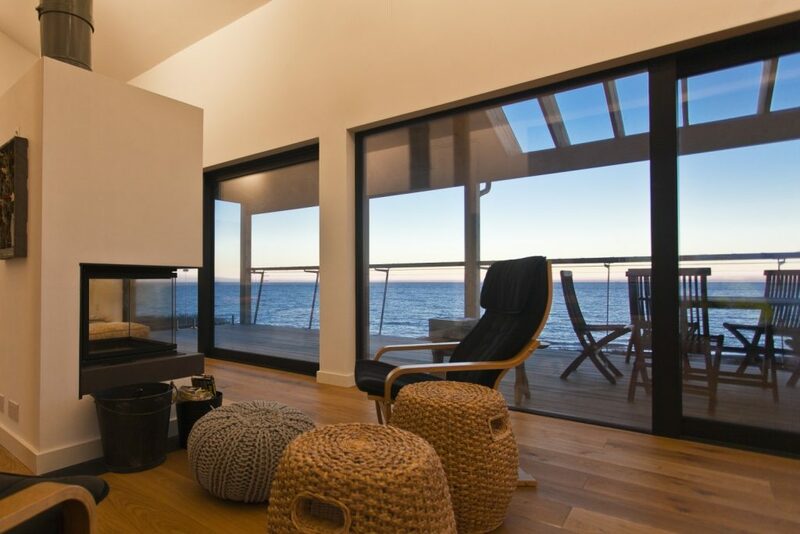 The high performance triple glazed windows and doors ensure that the stunning views can be enjoyed all year round. 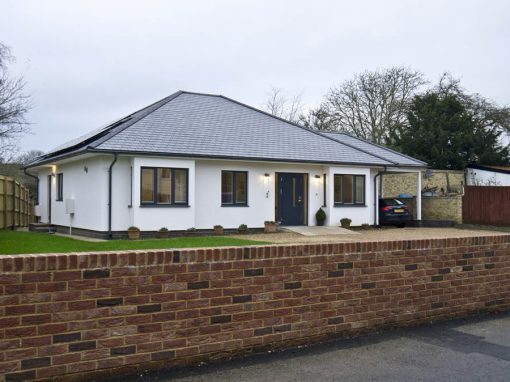 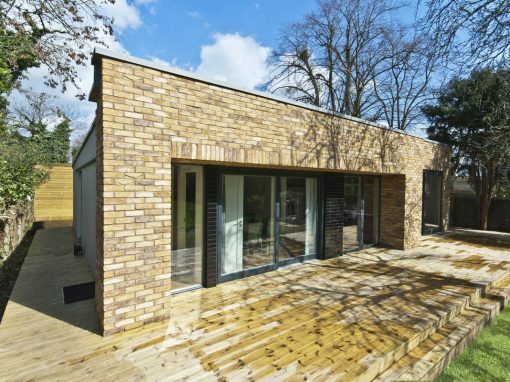 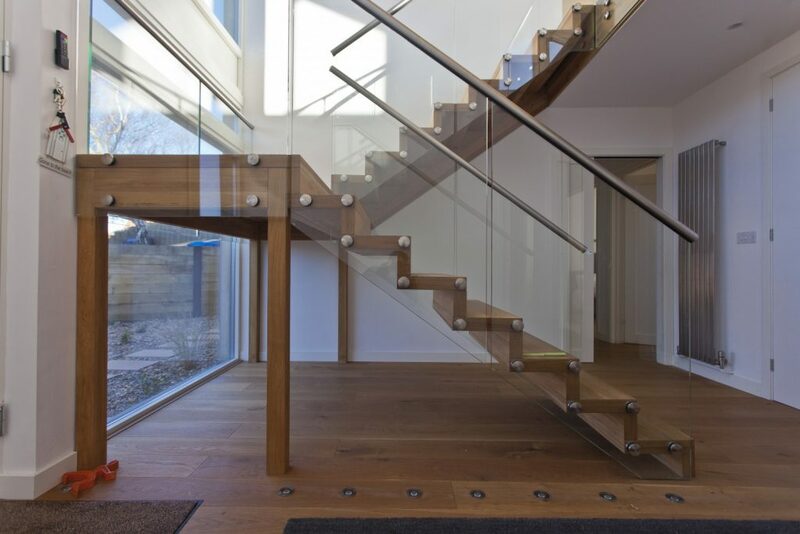 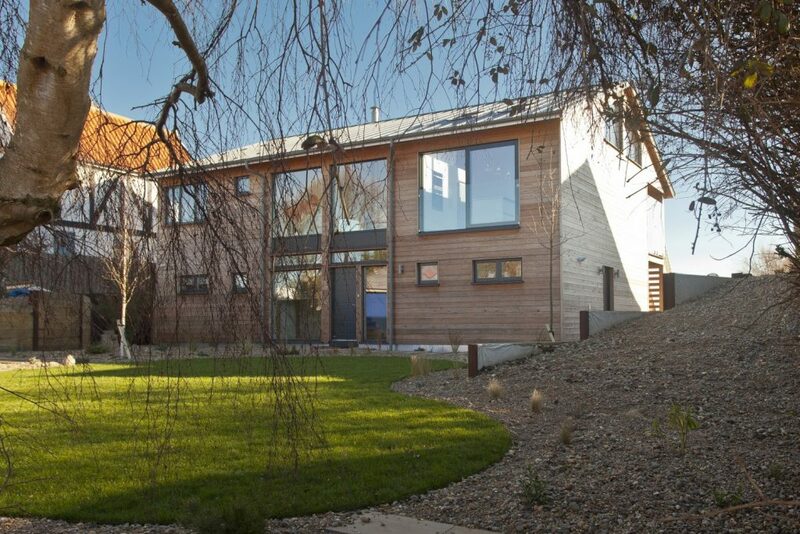 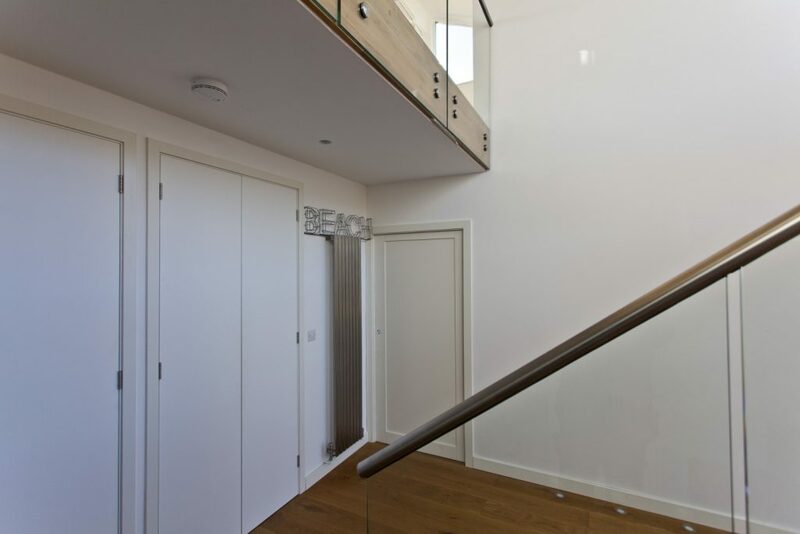 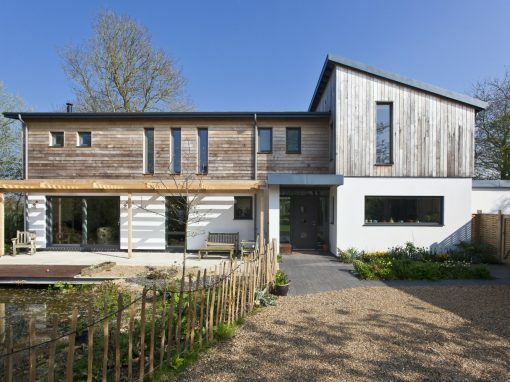 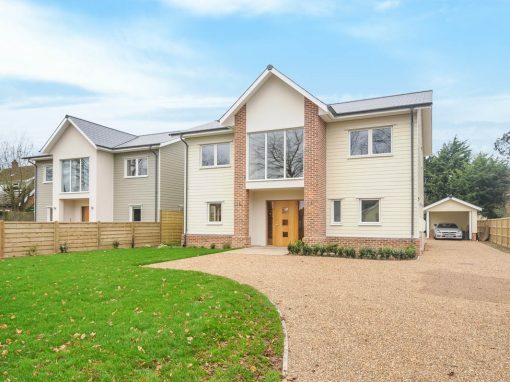 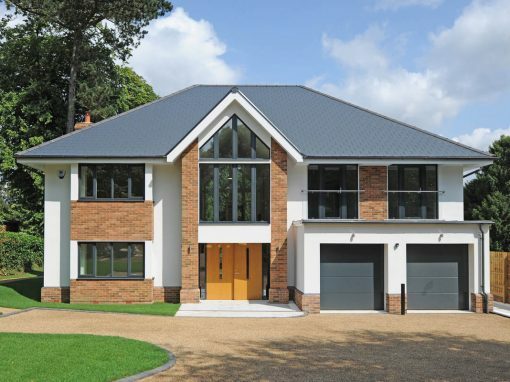 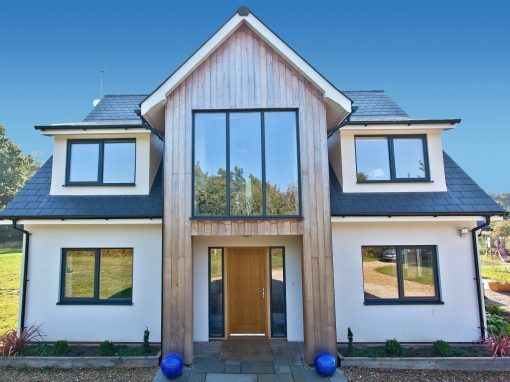 The Svenskhomes system is flexible to using a wide range of facades and external finishes and this project clearly demonstrates how an exciting contemporary build project can be achieved using various high performance and sustainable materials. 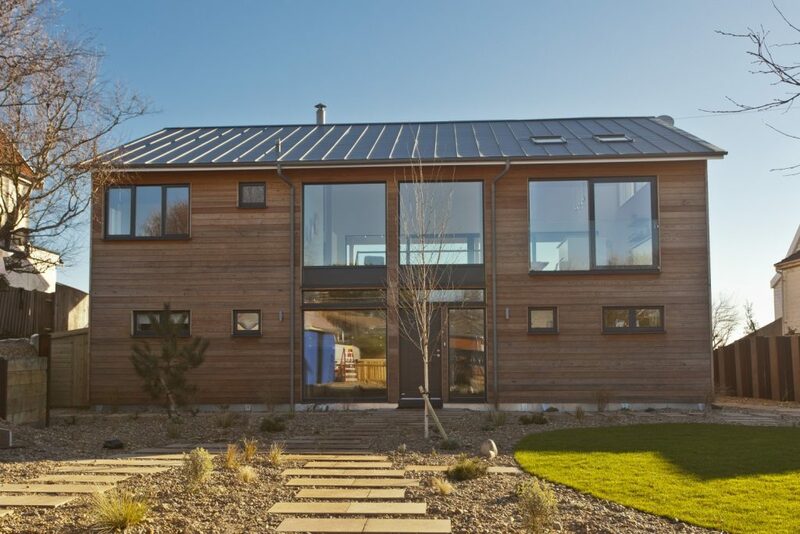 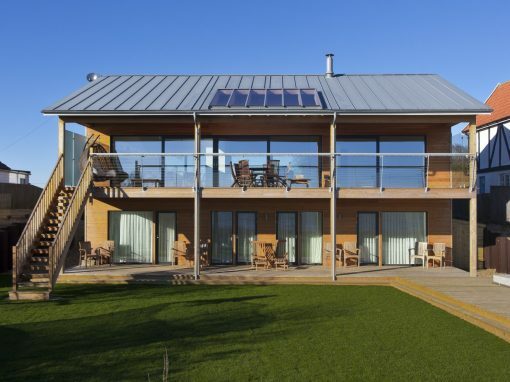 The use of Siberian Larch cladding and a standing seam Zinc roof deliver a fantastic looking building, which is further complimented with the aluminium clad windows and doors finished in a fashionable anthracite grey. 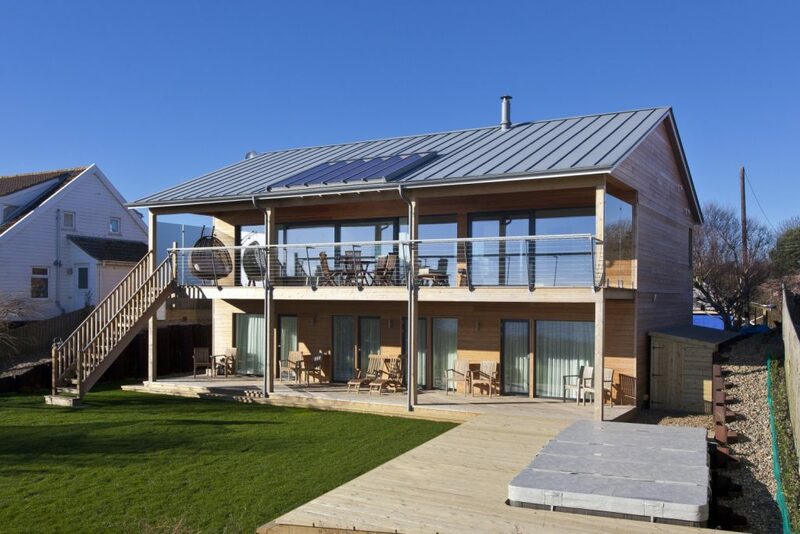 The flexibility of the Svenskhomes timber frame building system offered the ability to utilise glulam posts and beams to create a large open plan living area with a vaulted ceiling which really provides a wow factor. 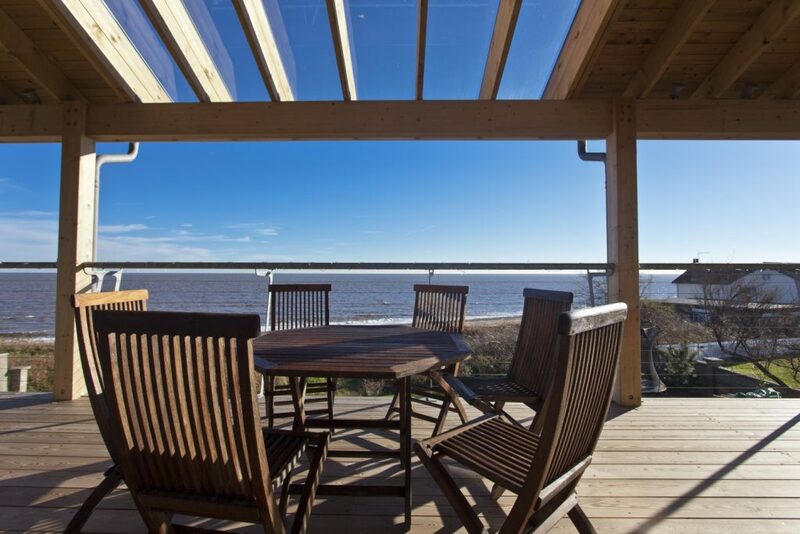 The Svenskhomes building system also included a structural balcony system which creates an exciting outdoor living space which will guarantee the enjoyment of the home throughout the summer months. 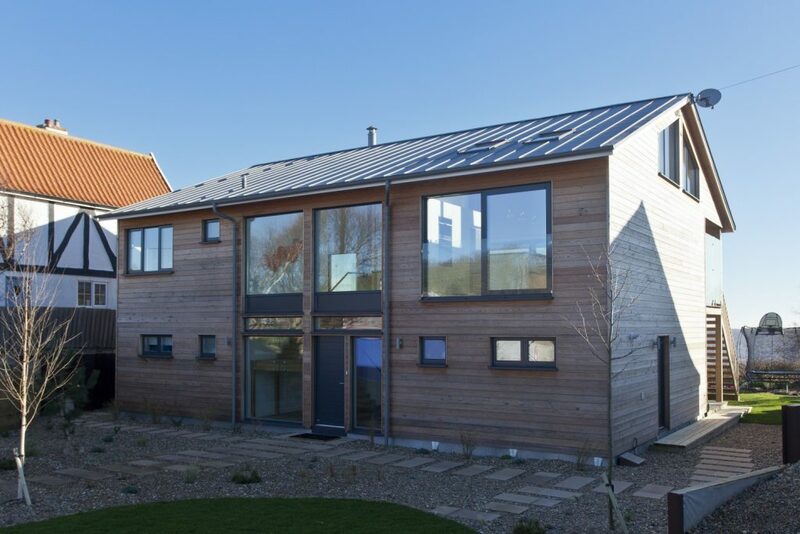 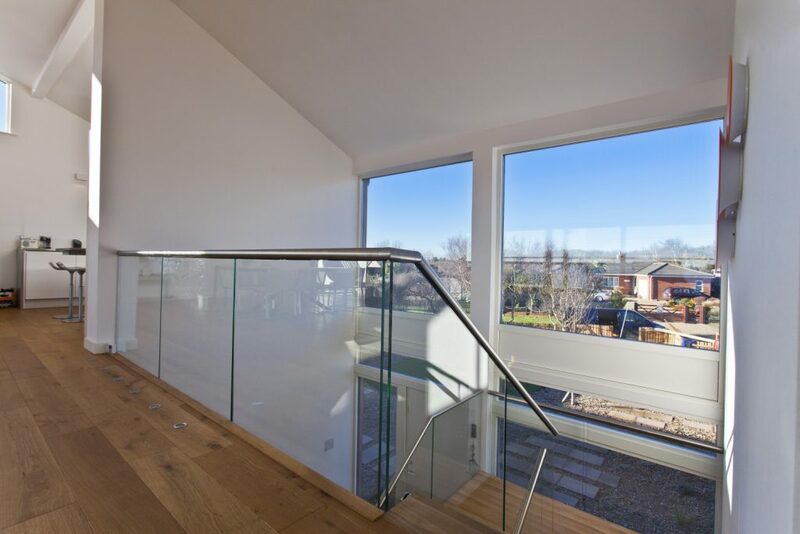 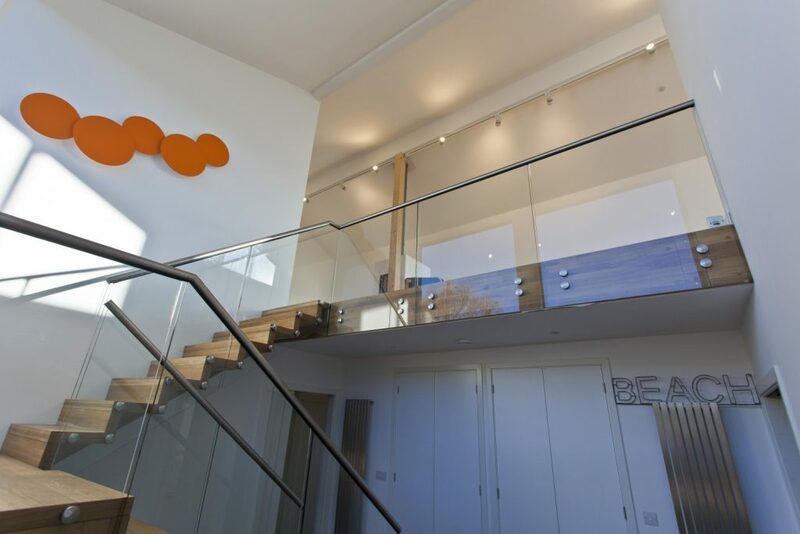 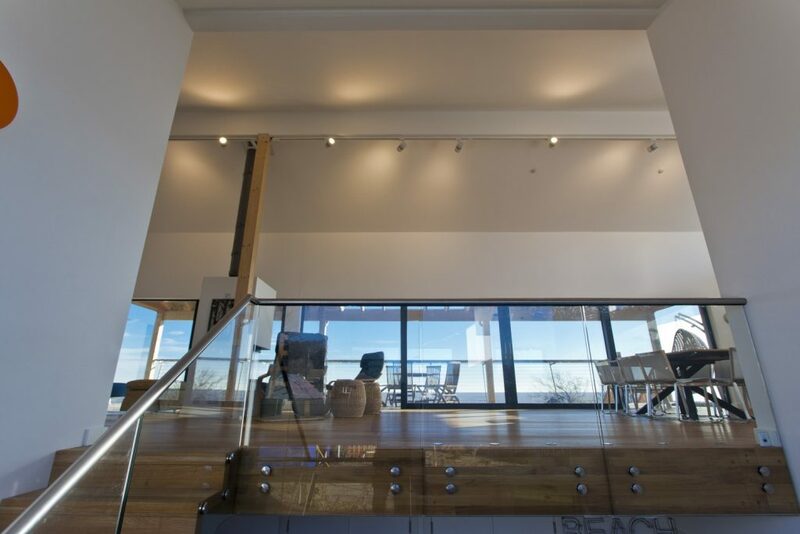 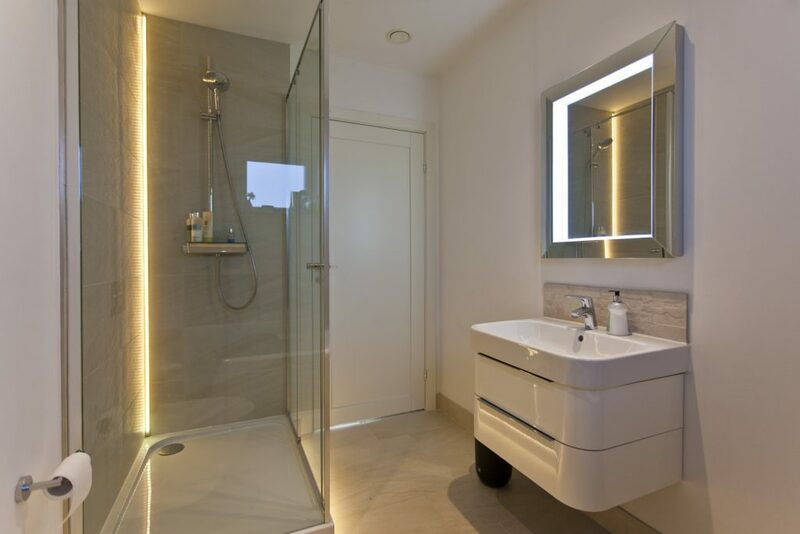 The overall result is a stunning looking building that is also robustly built to suit its environment and offer the home owner superior energy efficient performance and low running costs for the future. 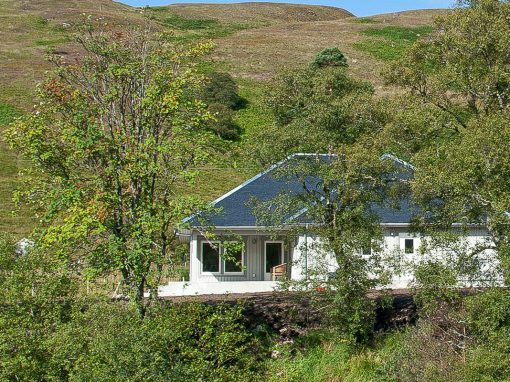 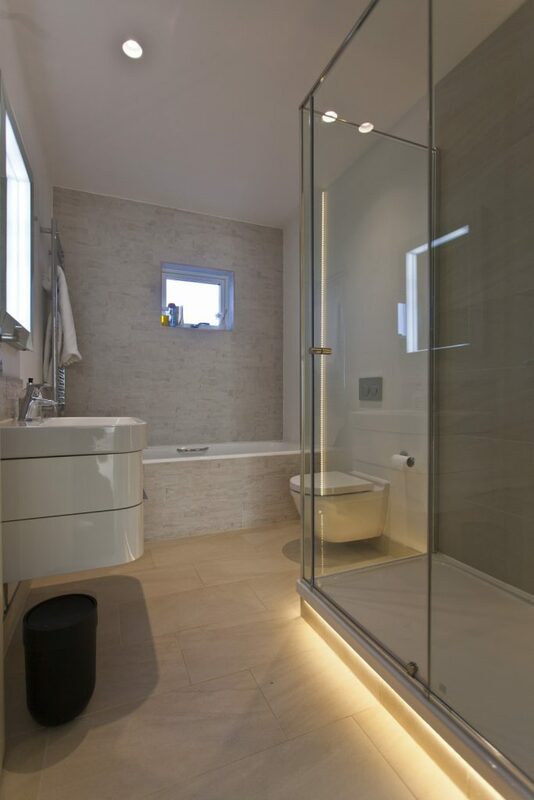 Benefiting from a 5kW log burner and a 98% energy efficient gas combination boiler the property enjoys extremely low utility bills, close to self-sufficient. 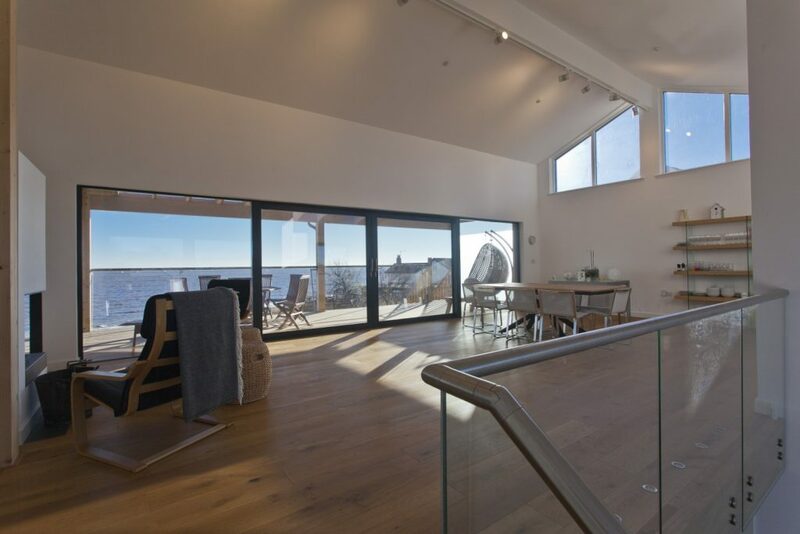 Positioned directly on the Thorpeness beach front and taking advantage of its position overlooking the rising sun over the North Sea this is another perfect example of a highly energy efficient Svenskhome.